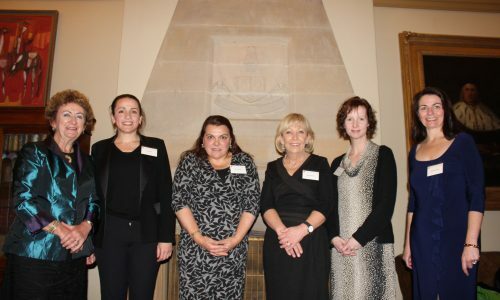 One way that alumni are recognised is through the Sancta Alumni Awards which are held annually. The awards will be presented will be announced and presented at the 90th Anniversary Gala Dinner and Alumni Awards on Saturday 30 July at 7.00pm To book tickets the dinner, click here. Alumni may be recognised for their outstanding efforts over a sustained period in one or more of the award criteria. This award recognises the achievements of alumni under the age of 40 years, who can be shown to have made a significant impact in his or her field of endeavour in one or more of the award criteria. • Nominations must be made by a member of the Sancta Sophia College alumni or community (Sancta families and staff). The nomination should indicate why the Nominator considers the Nominee worthy of the award. • Self – nominations will be accepted. • The nomination should be no more than 3 pages in length. Brief nominations are encouraged. • The nomination should address the criteria for selection clearly and succinctly. A short resume of up to three pages may be appended to the nomination to illustrate the Nominee’s career and achievements; this is not an essential requirement. Other appendices will not be accepted. • The assistance of the Nominee may be sought in compiling the nomination.